We blog a lot. You may have noticed! We do it because we recognize the value of educating and informing our users about the value of social media as a business tool, and how the industry is continuing to evolve. It is also a valuable part of our own social-based marketing strategy. As an insurance agent, you may also have come to realize the value of blogging as a tool for educating and building better relationships with your clients. 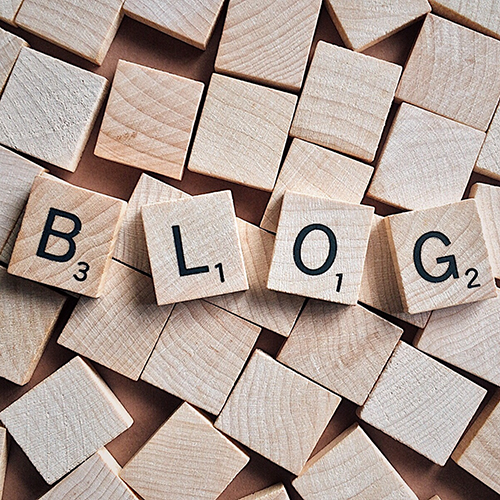 If it isn’t already, an insurance blog should be a major part of your marketing plan. However, you can do more with your content than simply publishing it on your blog site. Naturally, we advocate the combination of blogging and social media. After all, one of the best ways to distribute your content is to share it on Twitter, Facebook and LinkedIn. But did you know that you can publish your long-form and social media content in one place? That’s the value of publishing on LinkedIn. What are the benefits of publishing on LinkedIn? Long-form publishing is a feature available to all members of LinkedIn. Originally introduced as part of the LinkedIn Pulse news aggregation app, the ability to publish rolled out to all users in 2014. This blogging feature has since become part of the regular news feed so that users can find all their relevant content in one place. No setup required. Unlike creating your own blog site, your LinkedIn profile includes blogging capabilities. User-friendly features and formatting are already there. All you have to do is start writing. You have the ability to reach the largest group of professionals ever assembled on one platform. LinkedIn boasts over 460 million users. That means you have a built-in audience of individuals with your same interests: Networking and building relationships with other professionals. Published posts become a part of your professional profile. This helps build your credibility by showcasing your knowledge and quality content. It allows you to demonstrate your expertise, helping you gain new professional clients. Anyone in your network can share your published content, giving you the potential to reach thousands of people beyond your own network. Your connections get notifications when you publish new content. That means you have the ability to reach your whole network each time you post new articles. This has an advantage over sharing links to your blogging site, since your network gets no notification for those types of posts. People outside your network can follow your published content. That offers the potential to expand your reach beyond your established professional circles. While you should still maintain your own blog site and update it regularly with quality content, publishing on LinkedIn has clear advantages that your agency shouldn’t miss out on. First things first: LinkedIn publishing is different from posting an update. Sharing an article or creating a text post in your news feed is similar to creating a tweet or posting a Facebook update. It appears in the news feeds of people in your network. It does not appear on your profile. However, publishing a long-form article notifies people in your network that you’ve created new content. That activity gets added to your profile where visitors can see what you’ve published in the past. To get started, go to your home page on LinkedIn. In the post field near the top-center of your screen, click the button that says “Write an Article.” This will take you to an editing screen where you can create a headline, body copy, and custom formatting options. You can even add images or video to your post for additional emphasis or impact. Nail the right frequency. You don’t want people in your network to burn out on your content and stop caring. However, neither do you want to leave too much time between posts. Once weekly, or once every two weeks, is typically a good schedule for publishing LinkedIn content. Craft great headlines. Each headline should be specific, yet eye-catching. You want people in your circles to know what your article is about. The headline should intrigue enough so people want to read more. Strike the right balance on length. In general, your article should be at least 300 words long. However, articles that are too long may intimidate the busy professionals in your network. Keeping your content on LinkedIn under 1000 words is a good rule of thumb. But don’t be afraid to go over now and then if you have a very interesting topic to cover! Utilize visuals. LinkedIn lets you add images to your articles, as well as embed videos and SlideShare presentations. These can enhance your content. If your goal is to get users to watch your video or view your infographic, your article may focus on building up the value of the content in these visual elements. Remember your demographic. Because LinkedIn is a platform geared toward professionals, your content should be, too. Keep in mind your goals for publishing on this platform. What are you hoping to achieve? Whether it’s attracting new clients, or establishing yourself as a trusted source for insurance industry information, be sure to create content designed to reach these goals. Link your sources and inspirations. It’s true that linking to other articles–your own and those from other publishers–can strengthen your content’s search engine ranking. This is just as true when you publish on LinkedIn. However, keep in mind that linking to the LinkedIn content of others inside and outside your network can also help to strengthen your professional relationships and expand your influence. Share your content both in and outside of LinkedIn. Of course you want people within your professional network to see your LinkedIn content. However, you may have followers on other social media platforms who aren’t aware of your presence on LinkedIn. Be sure to share your published LinkedIn content on these platforms, as well. What should I publish on LinkedIn? Now that we’ve tackled the why and how of publishing on LinkedIn, it’s time to take a look at the “what.” If you’re stuck for what kind of content to create for this platform, keep reading! Focus on your expertise. What are your specialties? Brainstorm a list of questions that you are often asked as an insurance professional. It is likely that people in your network are curious about the answers to those questions, too. Articles on these types of topics are a good base for building your credibility in your industry. Touch on trending topics. By keeping your finger on the pulse of what is going on in the insurance industry, you can position yourself as a source of up-to-date news for professionals in your network. Look for topics that are trending on industry-specific blogs, or topics that you’ve heard your peers discussing. Sharing the news and providing your personal take early on will help you position yourself as an authority. Share your unique insights. As someone with knowledge of insurance and an ear for the latest news, it will be natural for people in your network to want your opinion. Perhaps there is a topic that has been circulating for a while, but you have a unique take on it. Users love to hear from a fresh voice. Add yours to the conversation. Create exclusive content. While it may be tempting to simply duplicate the content of your insurance blog on LinkedIn, this is not the way to go. For one, your agency’s blog and its LinkedIn blog have two different audiences: The former caters content to everyday clients and followers, while the other should be geared more toward your professional connections. Two, exclusive content gives the professionals in your network more of a reason to follow your updates. Three, when followers on your other platforms learn that you publish exclusive content to LinkedIn, they are likely to choose to follow you there as well. Millions of professionals are already publishing their content on LinkedIn, establishing their expertise and expanding their reach. It’s time to add your voice. The next time you have great content in mind, consider how publishing it on LinkedIn can benefit both your agency and your professional network at large.